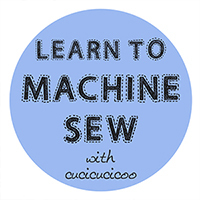 Welcome back to the Learn to Sew series! At this point I’ve covered most of the absolute basics of sewing, so I’m going to start jumping around with various techniques and tools. 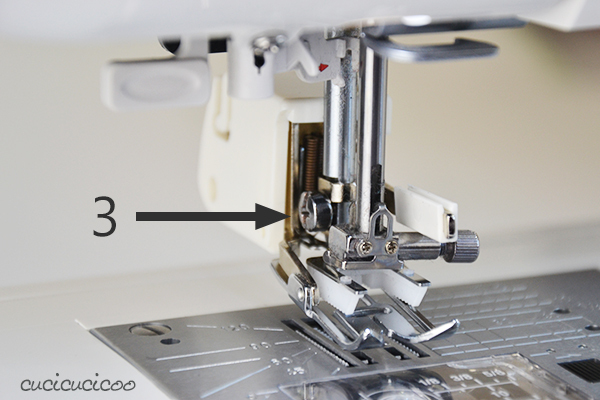 What I’m showing you today is not something that most beginner’s sewing courses would cover, but I honestly don’t know why because it can save you some massive headaches and stress-induced anger! So, if you haven’t yet met, let me introduce you to the walking foot *! Some machines are awesome enough to come with their own walking foot (which is sometimes called an even feed foot), in which case you can get started with it right away. The walking foot is one of the more expensive accessory feet (mine cost somewhere around €35 and others can cost much more), but I promise that it is totally worth the cost. Do note that this foot is generally not the type that you can snap on and off easily, and it is very important that you buy a walking foot that is compatible with your machine model. If you are in doubt, go to a dealer of your machine brand. The extra bonus of buying this foot at a dealer is that they can show you how to install and use it, and you will be sure to have a perfect fit for your model. The genius of the walking foot is the middle part (2): the upper feed dogs. 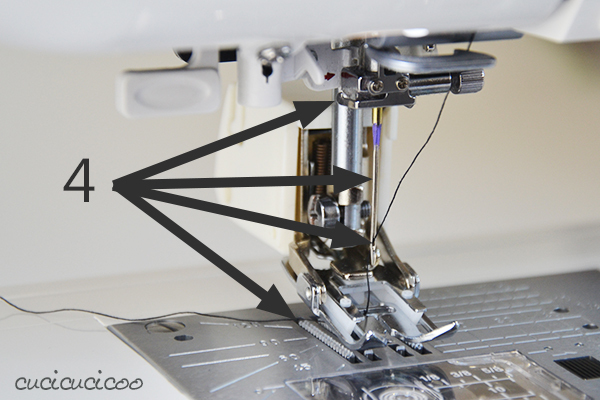 If you remember from our straight stitch lesson, the feed dogs are those jagged things underneath the needle that move the fabric backwards and their speed determines the stitch length. 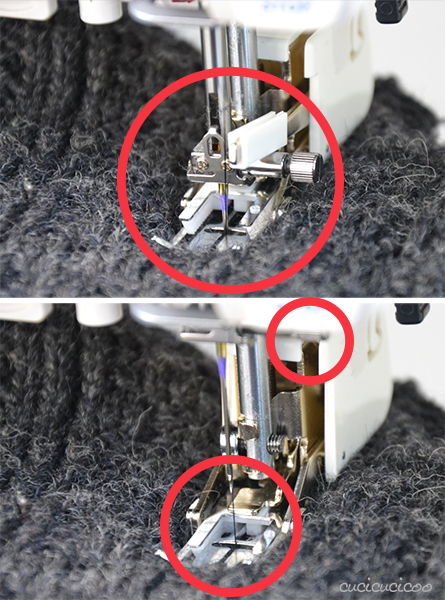 What the upper feed dogs of the walking foot do is feed (or “walk”) the top fabric layer under the presser foot along with the bottom fabric, which is in contact with the regular lower feed dogs in the sewing machine. This is incredibly useful in any case when the fabric has trouble getting under the presser foot. 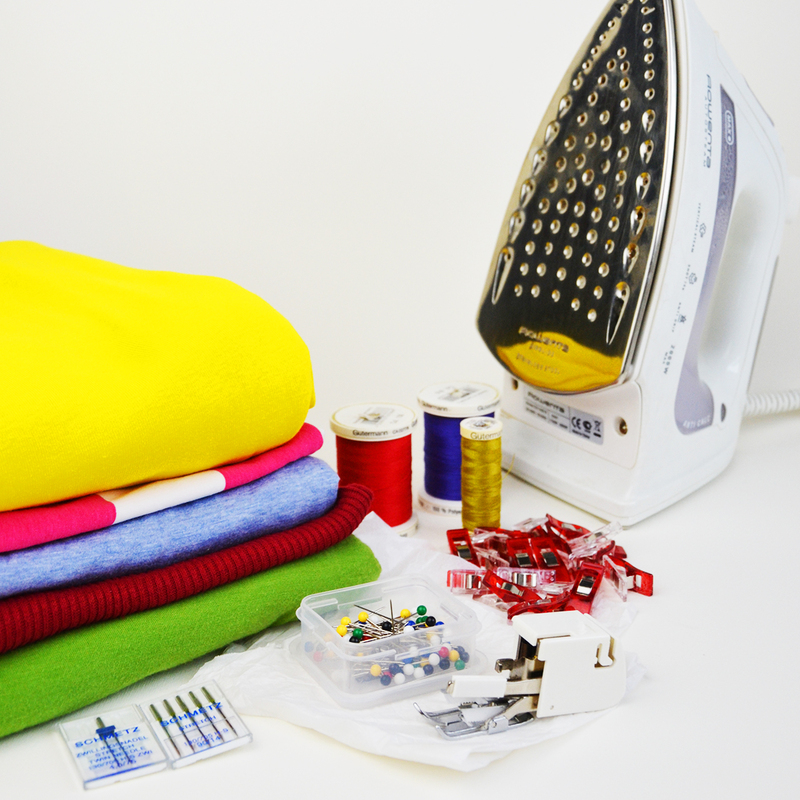 For example, it’s a huge help when sewing bulky fabrics, such as felted wool sweaters or numerous layers of jeans. 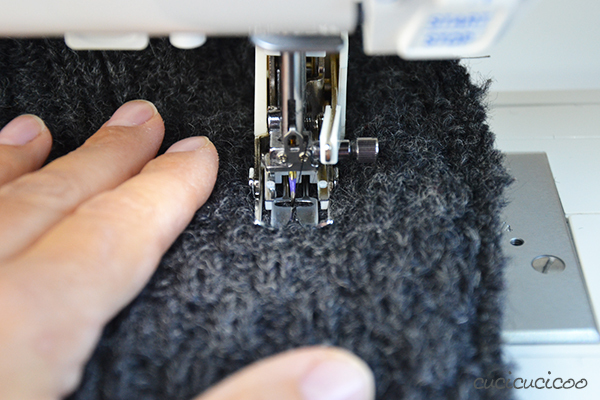 Bulky fabrics don’t flow under the presser foot easily because of how high they are, so the upper feed dogs help them go through. Another use for the walking foot is sewing slippery or “sticky” fabrics, but I will talk more about that next week. The walking foot is sometimes also called a “plaid matcher” because the dual-feed helps keep stripes, plaids and any other geometric shape perfectly lined up. I’ll show you what I mean. Feel free to test this out yourself, too! 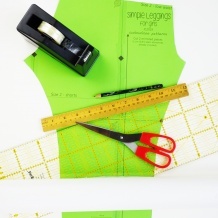 Cut out two pieces of fabric with some sort of straight horizontal line that you can line up. 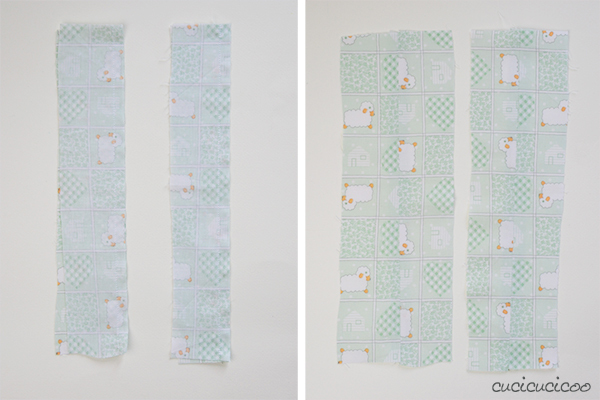 You can see the effect more clearly if using a long piece of smooth or slippery fabric. 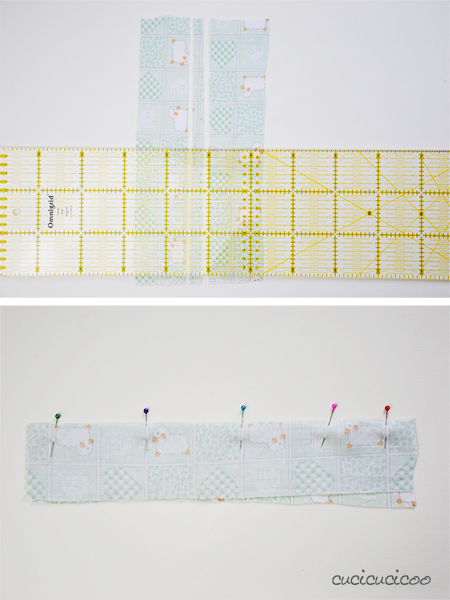 Cut the fabric down the long way, using a ruler or other guide to make sure that the cut is perfectly perpendicular to the horizontal lines (top photo). 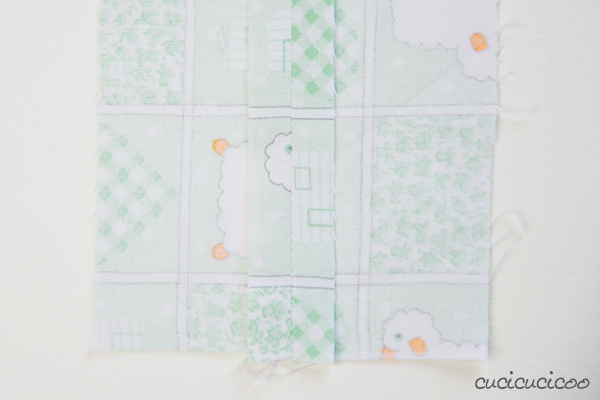 I removed a central strip of fabric where there was a vertical line interfering, just to show the effect better. Then pin the fabric right sides together, making sure to perfectly line up the stripes. 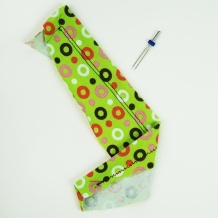 Sew along the whole pinned side with any seam allowance (I used 1 cm), with a regular sewing machine foot. Then cut, pin and sew the second piece in the same way, but using a walking foot. Then open up the fabric and press it flat. (By the way, in case you don’t know, “press” means to iron!) In the above pictures, the piece sewn with the regular foot is on the left and the one with the walking foot is on the right. There is not a huge difference in my example because I used a regular quilting cotton, not a more slippery fabric, but you can get the idea. At the end of the stitching with the regular foot, the stripes have moved slightly and are not perfectly lined up. This is because the top layer got a little stuck under the presser foot and therefore didn’t move under it at the same exact speed of the bottom layer, which was fed through with the machine’s feed dogs. On the other hand, the stripes on the piece sewn with the walking foot are perfectly lined up! Speaking of pressing, I never talked about how to iron fabric, so I’ll just take this opportunity to show you a little something. 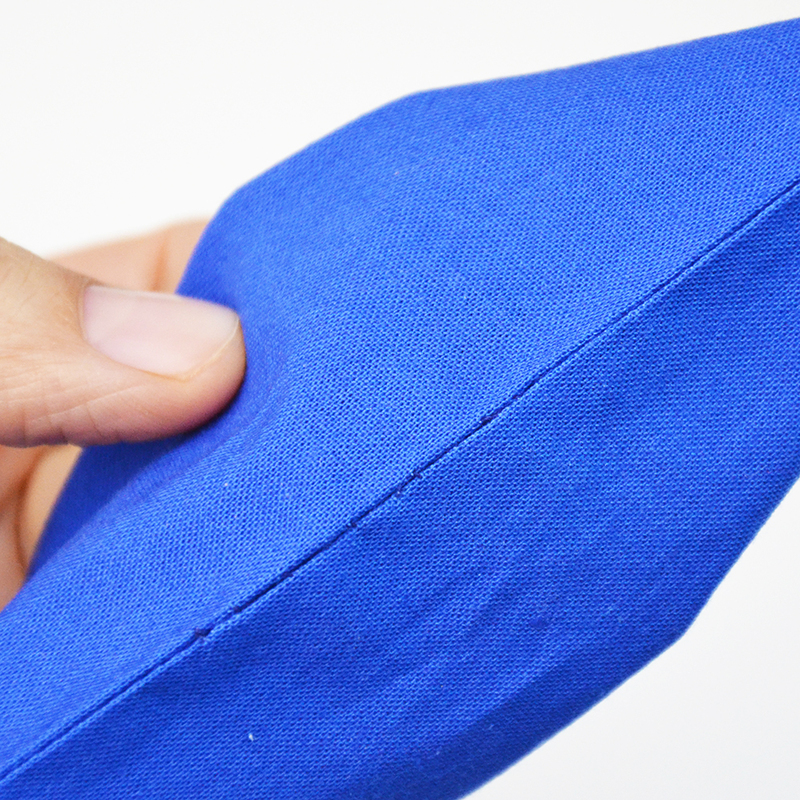 After sewing two pieces of fabric together, you should press open the seams for the nicest-looking results. To do this, with the fabric wrong side up, use your finger to ease open the seam allowance, finger pressing each one to one side. Then iron right down the middle, flattening the seam allowance open. The photo above shows you what it will then look like; the main fabric is wrong side up, but the seam allowance is right side up. 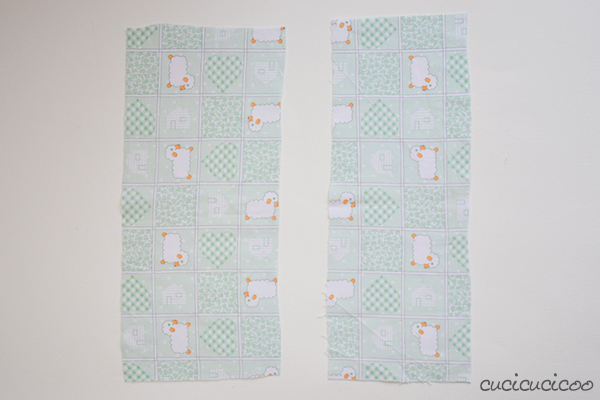 Then flip the fabric over and iron on the other side, if you want. Now let me show you how to install a walking foot. 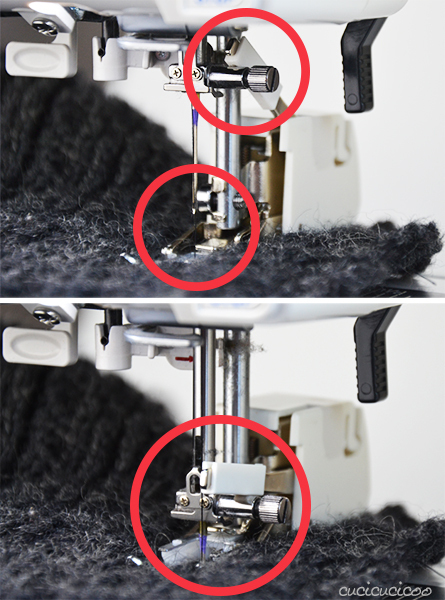 I repeat: not all machines are the same, so please read your sewing machine manual or consult a dealer or repairperson for your brand if you’re not sure how to install your walking foot!! 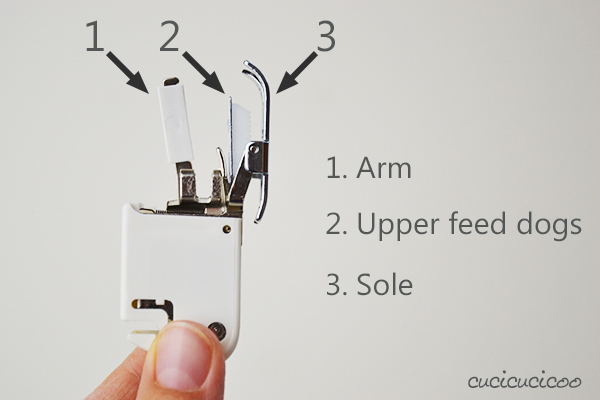 The pictures here show you how to install the walking foot on an electronic Elna Lotus. First off, you need to remove the regular sewing foot. For my machine, that means not just snapping off the interchangable foot extension, but unscrewing and removing the whole foot. You need to raise the presser foot to do this. When first learning to install your walking foot, I suggest you also remove the needle to make it easier to maneuver. Next, lower the foot and slip the walking foot into place. (Again, once you get the hang of it, you probably won’t have to lower the foot, but it makes it easier when learning how to do it.) 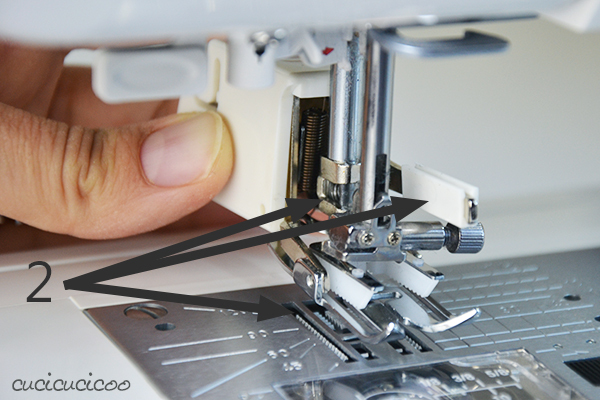 Note the three positions marked in the photo above: the clamp on the walking foot fits over the screw hole (top arrow); the walking foot arm fits over the needle screw/clamp (middle arrow); the feed dogs are lowered because of the lowered needle (bottom arrow). Insert and tighten the screw, to keep the walking foot in place. Finally, raise the foot (top arrow, which incidentally also shows that I seem to have forgotten to slip the thread in that little space. Oops! ), insert the needle (second arrow), thread the needle (third arrow), and pull the thread out to the back/left of the presser foot (bottom arrow, which also show that the feed dogs are now raised along with the needle). And you are ready to roll! 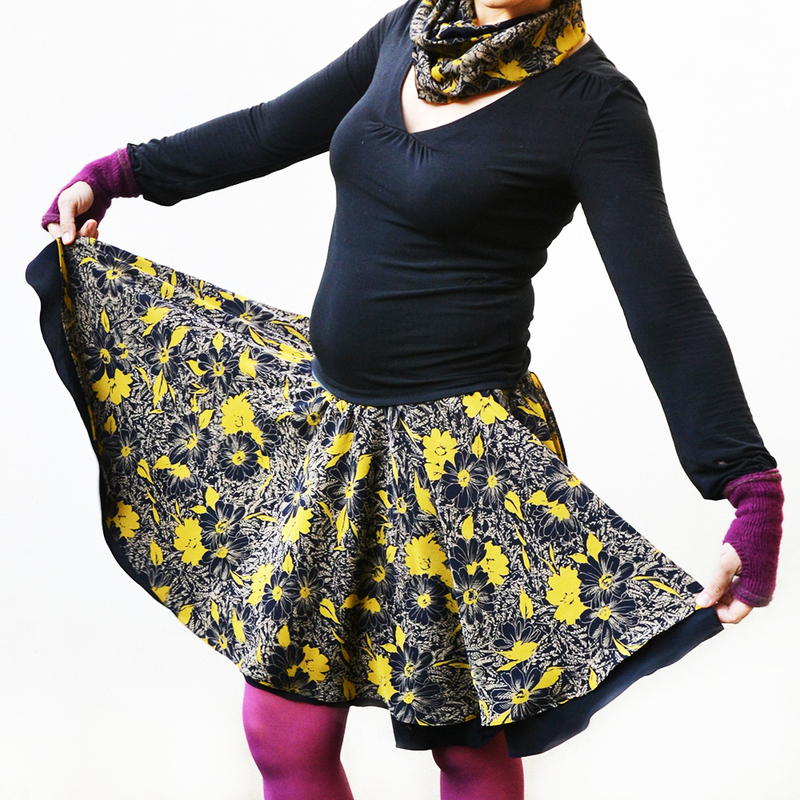 Start with a couple of layers of regular cotton fabric to get a feel for the walking foot, but then you can graduate to more complicated fabrics, like the thick wool sweater in this and the following images. 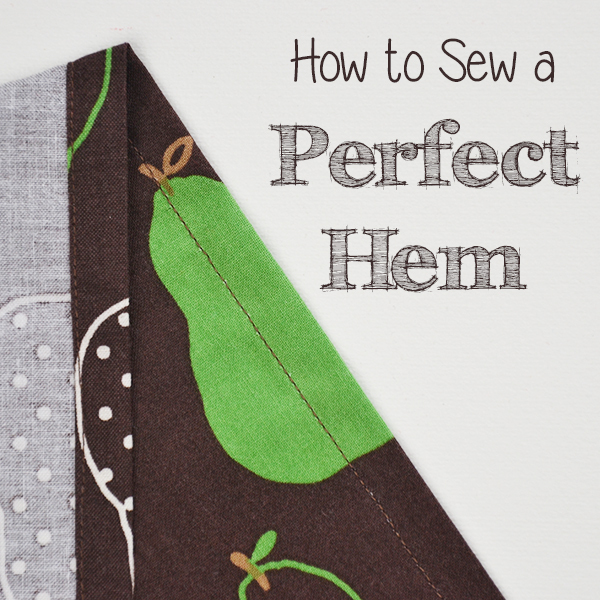 Just sew as you normally would, with a straight or zig zag stitch. Start slowly, and you’ll see how the walking foot works. When the needle is raised, the walking foot arm gets raised with it and the upper feed dogs move down (top picture). And when the needle is lowered, the walking foot arm gets lowered with it and the upper feed dogs move back up. Basically, the movement of the arm makes the upper feed dogs move down, back, up and forward, then back down again, which is what moves the upper layer of fabric under the foot. Amazing, right?! Here’s another viewpoint of the needle/arm lowered and the upper feed dogs raised (top) and the needle/arm raised and the upper feed dogs lowered (bottom). When you start getting the feel for this foot, you can start going faster. I love the clicking sound that the walking foot makes as it sews! For real, this foot will make you so happy if you’ve ever had problems with fabric puckering or bunching up. Later on this week, I’ll have a practical tutorial using this foot for a refashioning project (update: here it is! ), and then I’ll have another project to make with it next week too! 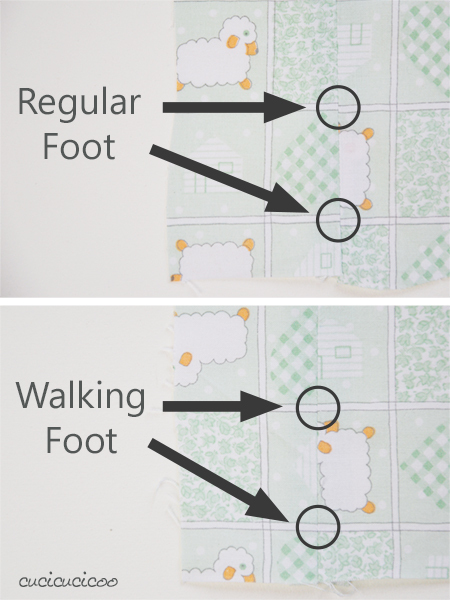 So practice installing and using your walking foot, and come back soon for some cool ways to use it! 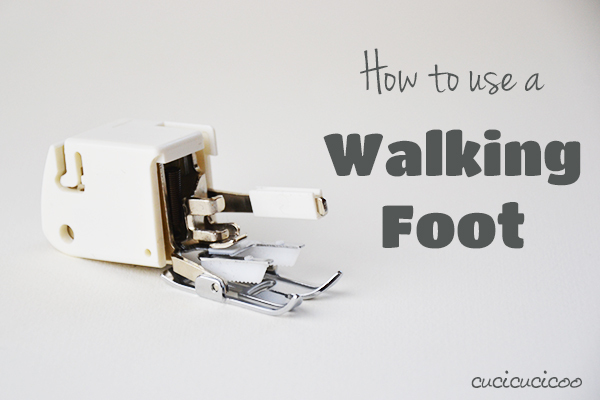 Did you like this lesson on how to use a walking foot? 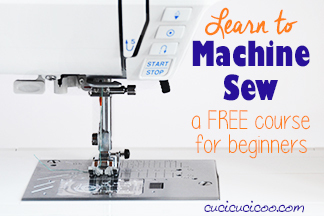 Take a look at the other lessons in this beginner’s sewing course! Cioè, mi stai dicendo che se avessi avuto un piedino da trasporto non sarei impazzita completamente quando ho cucito insieme uno strato di minky e uno strato di PUL per fare il fasciatoio da viaggio??? Era solo un rettangolo con gli angoli stondati, ma lo ricordo come un incubo: il minky scivoloso e anche un poò elastico, che tendeva a deformarsi a ogni passo, il pul che, dal lato impermeabile, si appiccicava e faceva di tutto tranne che scorrere… roba da crisi di nervi! Avevo capito che il piedino da trasporto serviva soprattutto per cose come il quilting, ma non avevo mai pensato alla sua utilità con tessuti particolari come il pul, mi hai aperto un mondo! Sì, Chiara!! La settimana prossima parlerò proprio del PUL e come tutorial abbinato alla lezione ci sarà… il fasciatoio da viaggio! Mamma mia, posso solo immaginare che tragedia cercare di cucire il PUL con il minky senza questo piedino… Ci credo che ci sarà stata la crisi di nervi! Sul serio, procurati questo piedino e inizia ad usarlo per capire come funziona, poi torna qui per i tutorial/lezioni di questa settimana e la prossima! 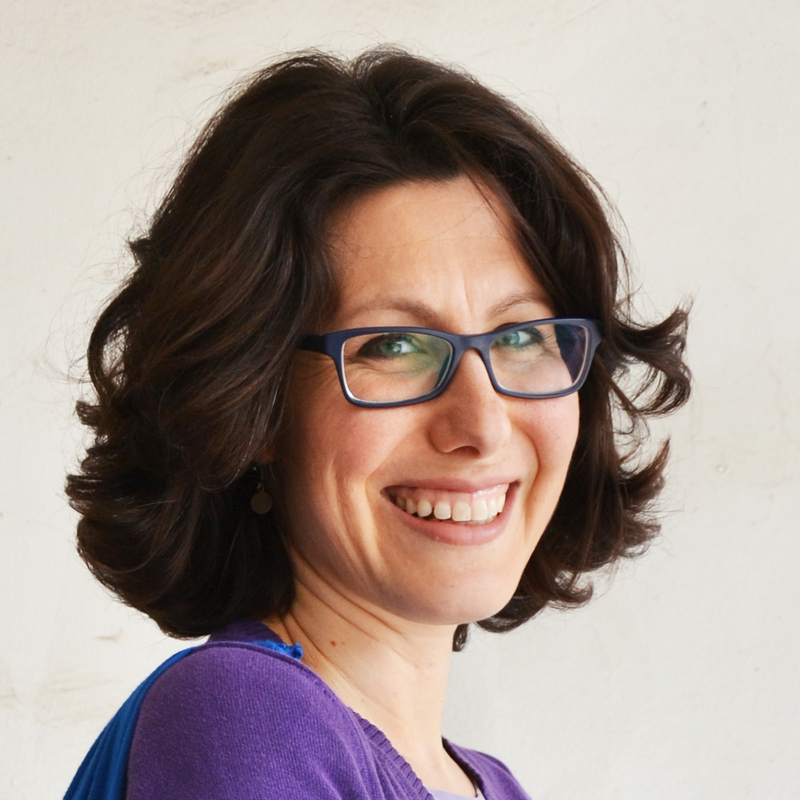 Grazie per questo post illuminante! Complimenti come sempre per l’articolo! Al momento però mi sto ancora allenando con le buste di carta e con il punto diritto 😉 poi ti manderò una foto del vestito di carnevale che ho fatto alla mia bimba! Ciao! Ma, Alice, se hai cucito un vestito di carnevale, mi sa che stai già ben oltre la fase delle buste di carta! 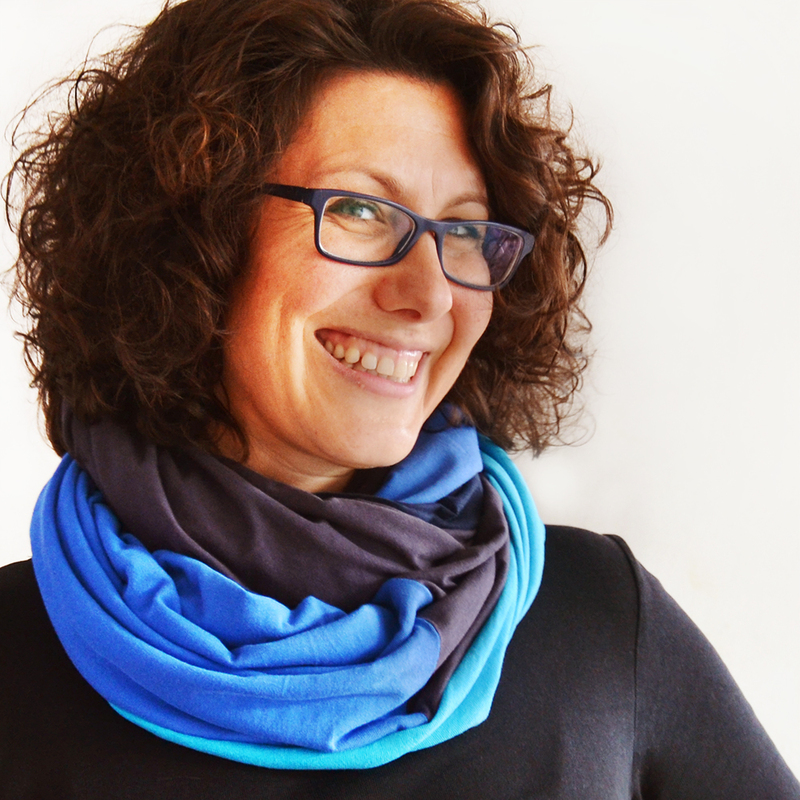 Dai, facci vedere il vestitio! La puoi postare sulla pagina FB (https://www.facebook.com/cucicucicoo) (con viso coperto va benissimo!) 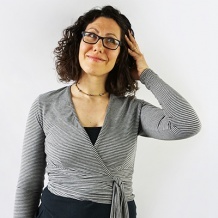 o inviarmela direttamente a lisa@cucicucicoo.com! The walking foot reminds me of my handy-dandy buttonhole attachment that I packed and sent to storage while our home is being renovated. Little did I realize that I could’ve used it twice already. 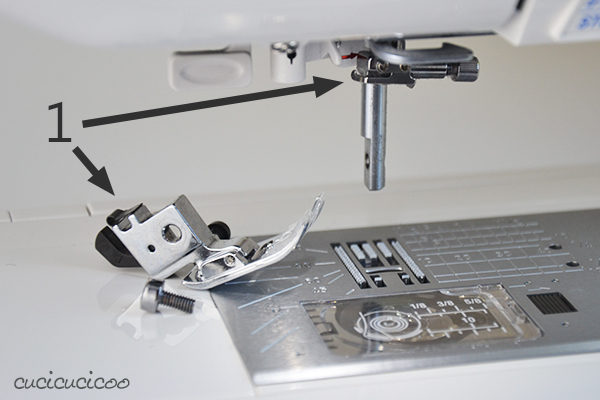 It attaches to the sewing machine the same way the walking foot does. Bello!!! ce l’ho ce l’ho ma non l’ho ancora mai provato….aspetto con ansia il tutorial!!! Grazie!!! Bene! Allora, la prossima puntata con questo piede sarà giovedì! Ci rivediamo allora! Sempre avuto, mai usato…. devo proprio provarlo!!! Ciao Lisa, e grazie anche per questo post. Utilissimo! Quindi volevo chiederti un consiglio, solitamente per cucire il pannolenci lo faccio a mano, ma se mi capita di dover fare pezzi più grandi ho provato con la macchina da cucire ma non viene benissimo. Perciò questo piedino dovrebbe essere utile per cucire il pannolenci? Grazie in anticipo. Alla prox. Sì, se il problema è lo spesso dei diversi strati di pannolenci, questo piedino potrebbe essere utile. Serve a far passare sotto l’ago tutti gli strati insieme, per non far sballare gli strati. a un prezzo molto conveniente e devo dire che è perfetto! Grazie di cuore. Thank you so much for the lesson on the walking foot. I am just learning to use it for sewing fleece animals. It makes life so much better. I’m so glad that you find it helpful, Dorothy! 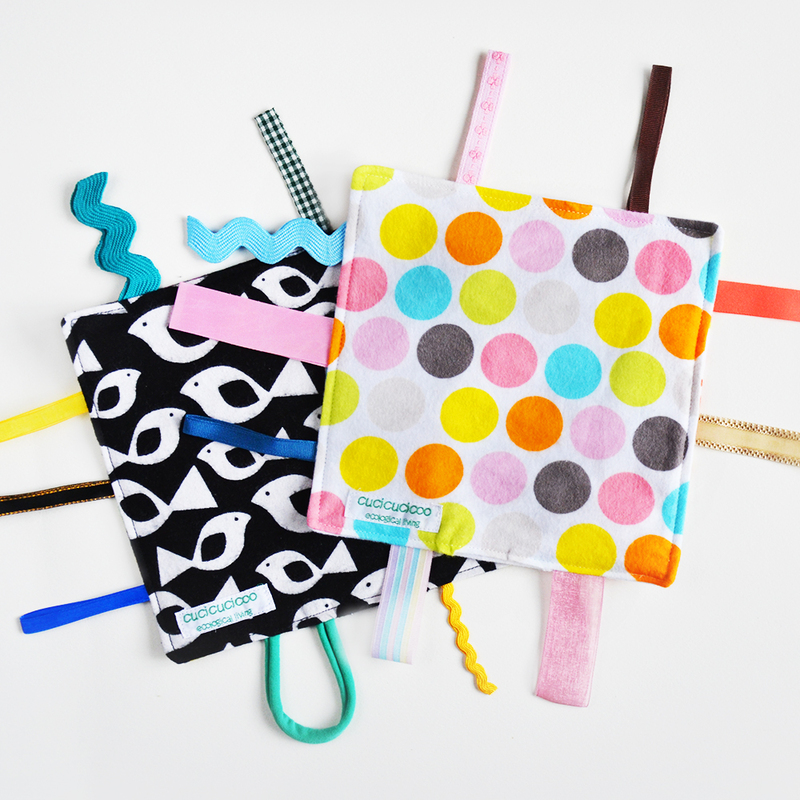 I also just love it and use it very frequently because it just seems to make my sewing always come out better!